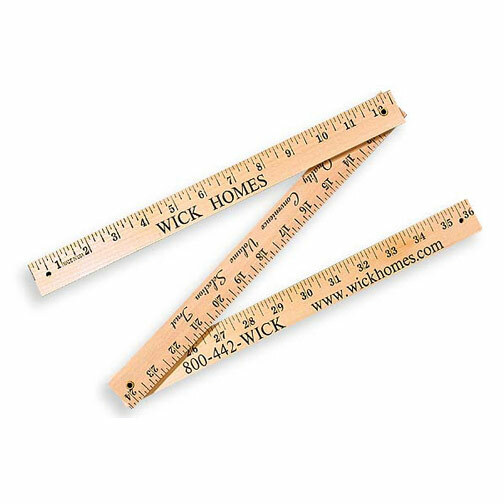 Ideal for those in the educational and construction industries, this folding yardstick measures 36" long and is offered in several different wood finished designs. The product uses the English scale and is available in a variety of colors. Plus, there are 3 large imprint areas so that you can add a personal message, your company name and logo. This unique giveaway item conveniently folds in three sections! Size: 1/2 " x 1.125 " x 36 "
Multi-Color Imprint; no close registration. Second Side Print; no close registration.